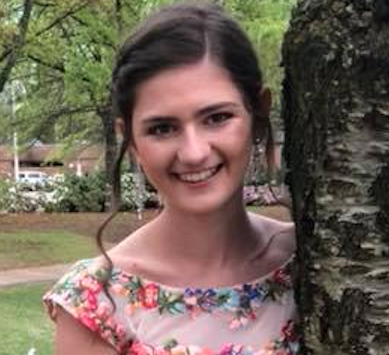 Congratulations to Bailey Bridgers, a 2018 graduate of Arlington High School, who has received a second place scholarship of $1,000 through the National Spanish Examinations. Students become eligible for the scholarship by scoring in either the gold, silver or bronze categories on the National Spanish Examinations. Students must then submit an application form along with a sample of their Spanish language writing and speaking. Their written and oral proficiencies are evaluated by a committee. Honors Spanish students from Arlington High School have a long history of high achievement on these exams, but Bailey is the first to have entered in this scholarship competition. Bailey also scored the highest score on her AP Spanish exam this year. The National Spanish Examinations are administered each year in AHS’s Spanish Honors-level classes. The exams are sponsored by the American Association of Teachers of Spanish and Portuguese. Congratulations to both Bailey Bridgers and her AP Spanish Teacher Señora Robinson on this incredible achievement.